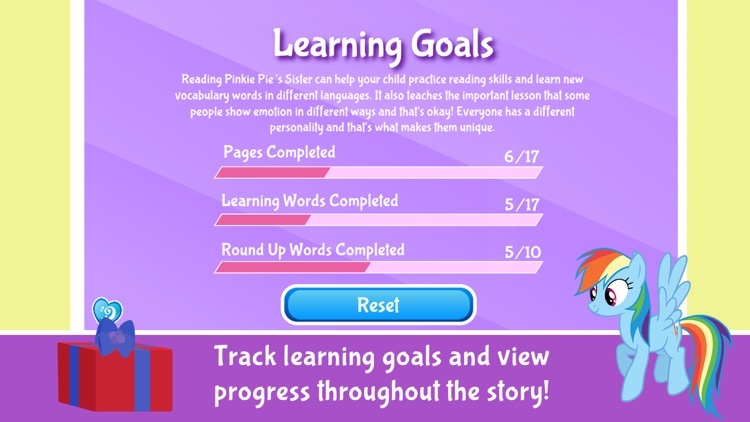 Languages include: English, Spanish, Italian, French, Russian and Chinese. 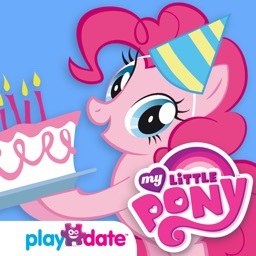 Could anypony be more excitable, more energetic, or more playful than Pinkie Pie? 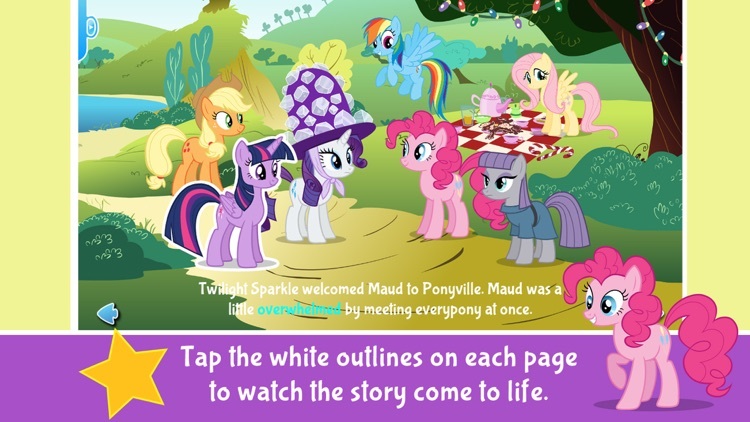 The ponies are eager to find out when Maud Pie, Pinkie Pie’s sister, plans to visit Ponyville! 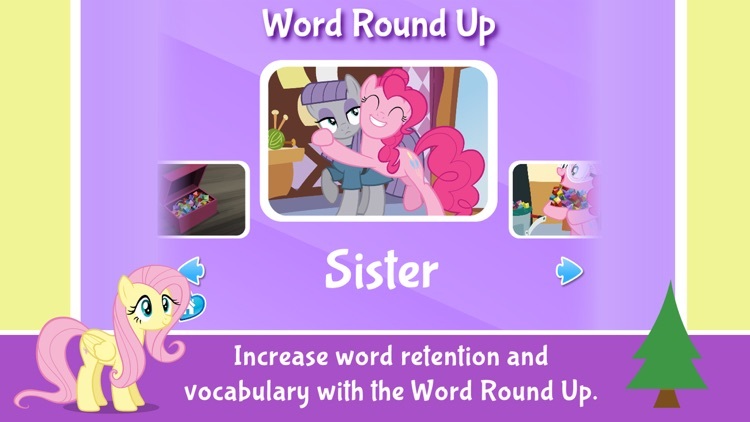 Pinkie and Maud have a tradition of trading “bestest-est friend” rock candy necklaces whenever they can, and now Pinkie Pie wants to share this rockin’ ritual with all of her friends! 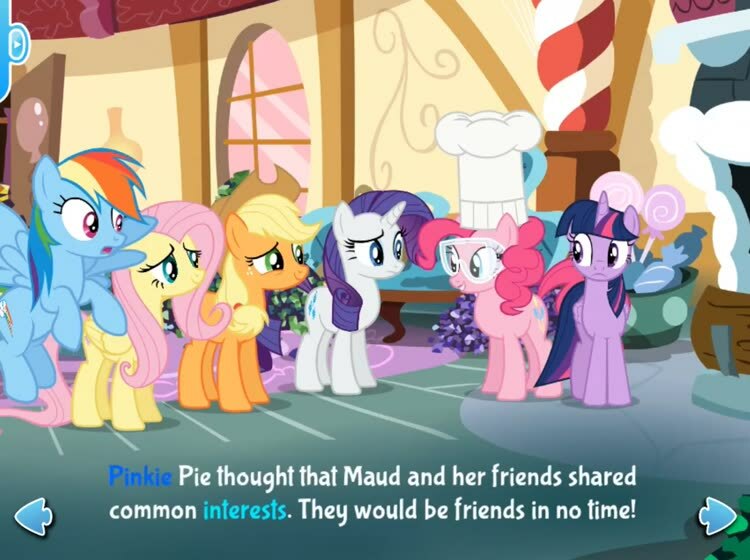 However, Pinkie Pie and her friends must learn an important lesson about friendship when Maud turns out to be a…little bit different, to say the least! 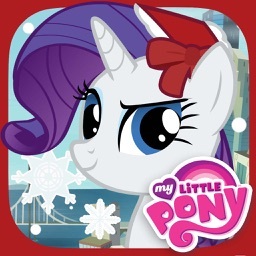 It could take a lot more than a rock candy necklace to bring all these ponies together in this Ponyville adventure! 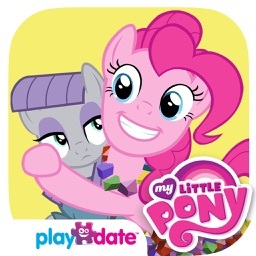 MY LITTLE PONY: PINKIE PIE’S SISTER, based on the episode MAUD PIE from the hit television series MY LITTLE PONY: FRIENDSHIP IS MAGIC, is a thrilling tale about understanding differences and accepting a pony for who she is! 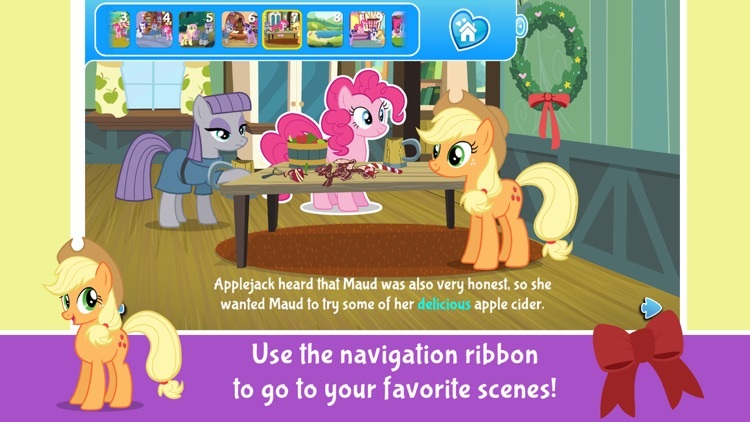 Early and emerging readers will learn and laugh alongside Pinkie Pie and her friends as a fascinating new hero saves the day. 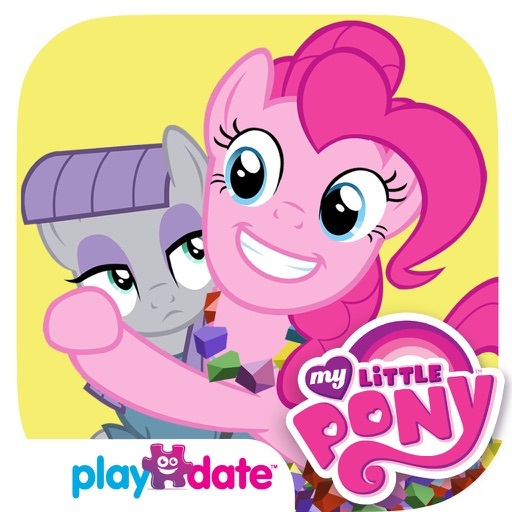 Say hello to one of Equestria’s most interesting ponies in the latest fully interactive storybook app from Hasbro and PlayDate Digital. 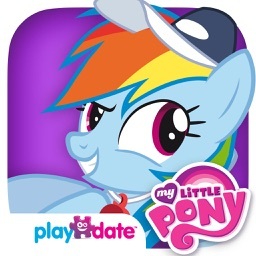 •	Starring ALL your Ponyville favorites—Pinkie Pie, Princess Twilight Sparkle, Applejack, , Rainbow Dash, Fluttershy, and Rarity! 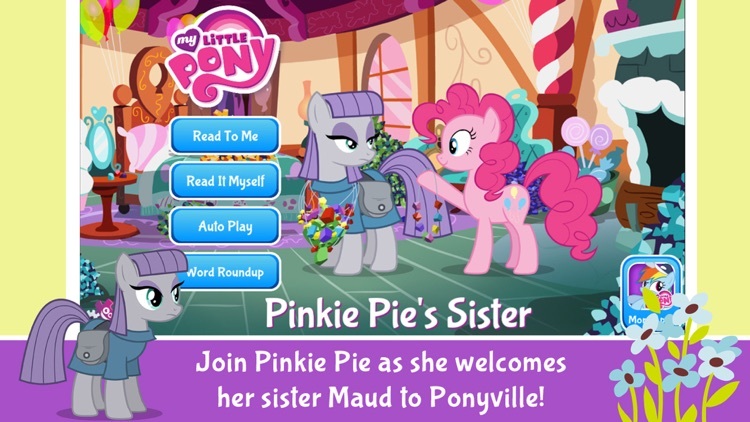 •	Introducing a new Pony - the mysterious Maud Pie! 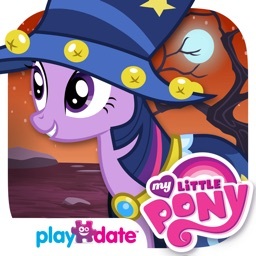 •	Interactive MY LITTLE PONY action and voices on every page!